Gale and Co Ltd. can provide a full conservation and restoration service. 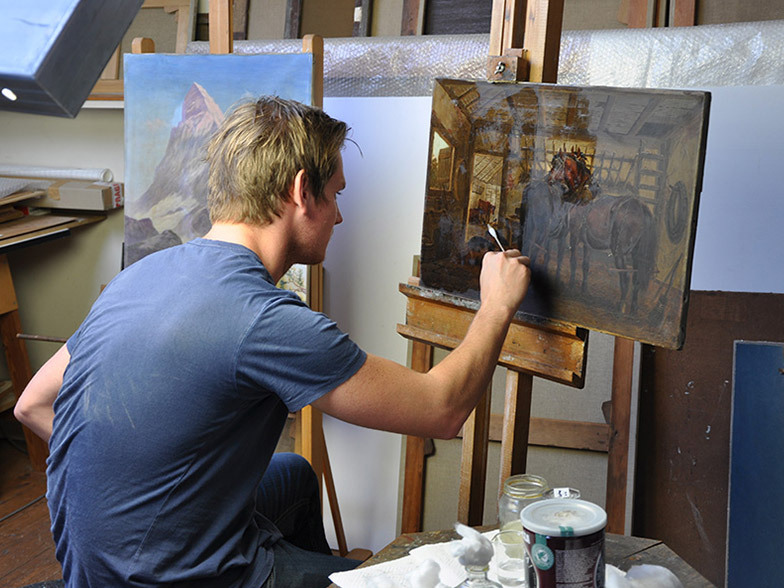 We have a team of experienced conservators who can be called upon to advise and undertake work on paintings in all media, from easel paintings; oils on canvas, wood panel, metal, manufactured bands etc. to works of art on paper; watercolours, prints and drawings etc. 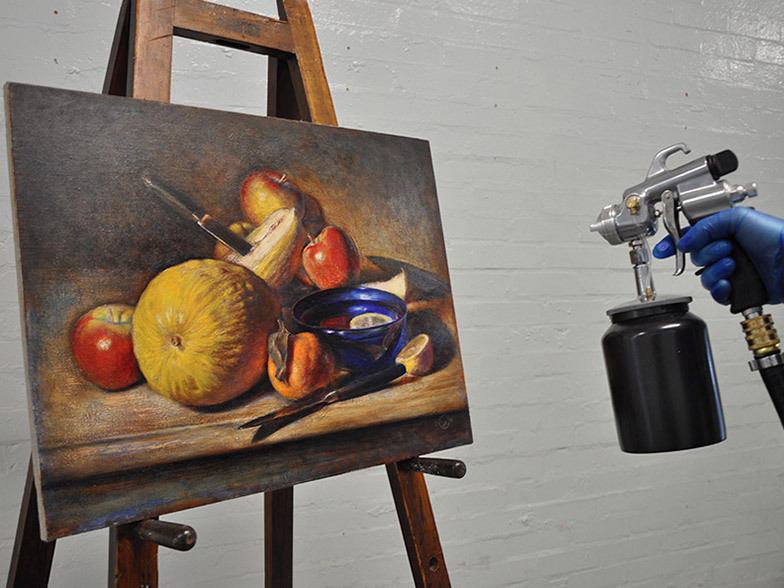 Gale and Co Ltd. are always willing to assess the condition of a painting and the work required. We then fully discuss and recommend appropriate treatment with the owner. Individuals, private collectors, public and private institutions, artists and insurers are amongst a number of our clients.